Today, as Visual Capitalists's Ang Ahlstrom notes, this robot class is raising the bar of global manufacturing to new heights, striking a seamless mix of strength, speed, and precision. 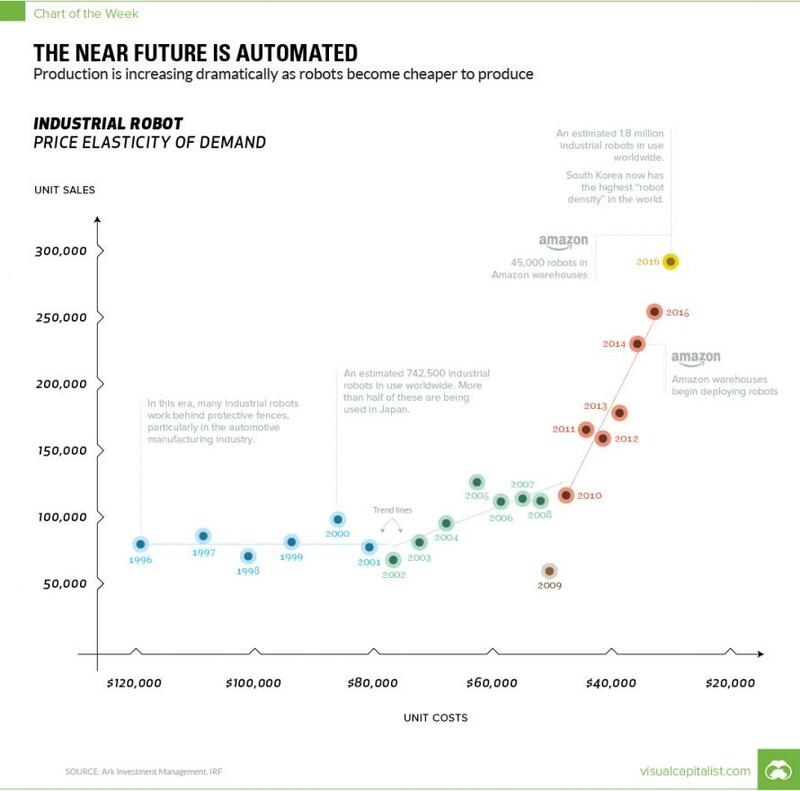 As a result, demand for industrial robots keeps growing at a robust 14% per year, setting the stage for 3.1 million industrial robots in operation globally by 2020. At present, the largest market share of industrial robots is held in the Asia-Pacific region – namely, China, Japan, Korea, and India. But as current trends suggest, these falling prices will only steer further global reach.